I have a whole latte love for this next set! 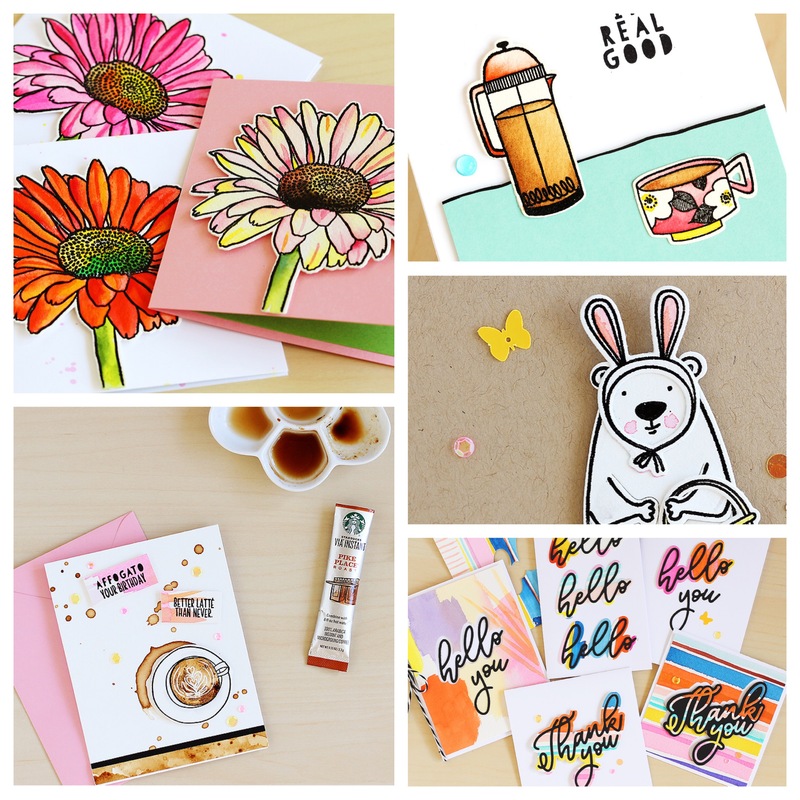 EBE Latte Love stamps and dies, or pick them up here in a combo! Look at all those fun things to stamp inside the latte you all!!! Ahhh so good! And here’s my card! 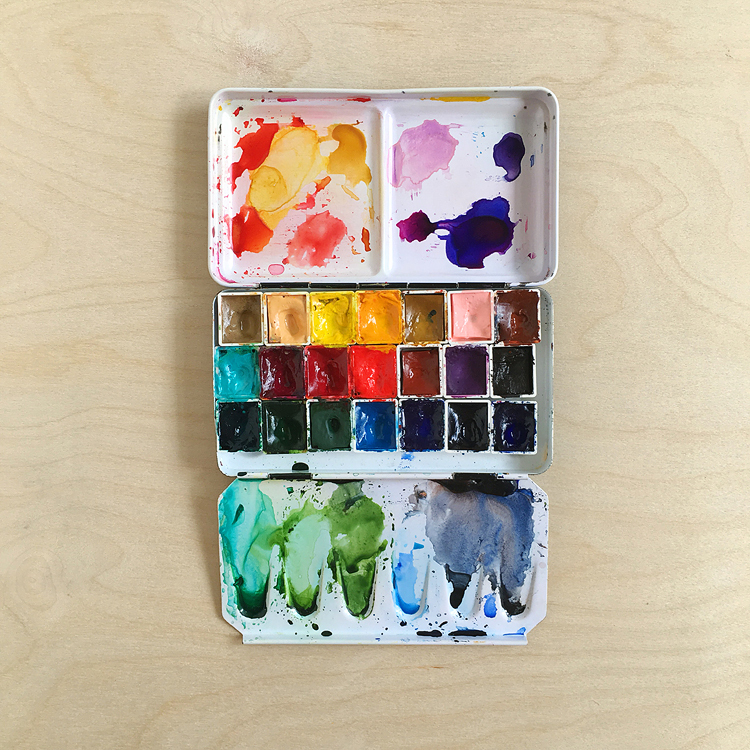 I started off by doing a little coffee experimentation — you see, I’ve always wanted to try using coffee to paint with and this seemed like the perfect time. I used one of those Starbucks instant coffee packets and a little hot water to mix up some different strengths — pro paper barista tip, hot water works best for activating that instant coffee! Then I grabbed some stacks of watercolor paper and brushed some on the bottom of a coffee cup and stamped it to make the coffee rings. Then I made drips and spatters here and there. I even colored a half sheet and tried sprinkling on some of the coffee granules to see would happen! Some of them faded out into neat shapes. Here’s another pro paper barista tip: use white embossing powder for the “foam” part of the coffee and black for the rest. I just stamped the mug part twice — once on the coffee colored paper and then again on watercolor paper and cut out the coffee part. 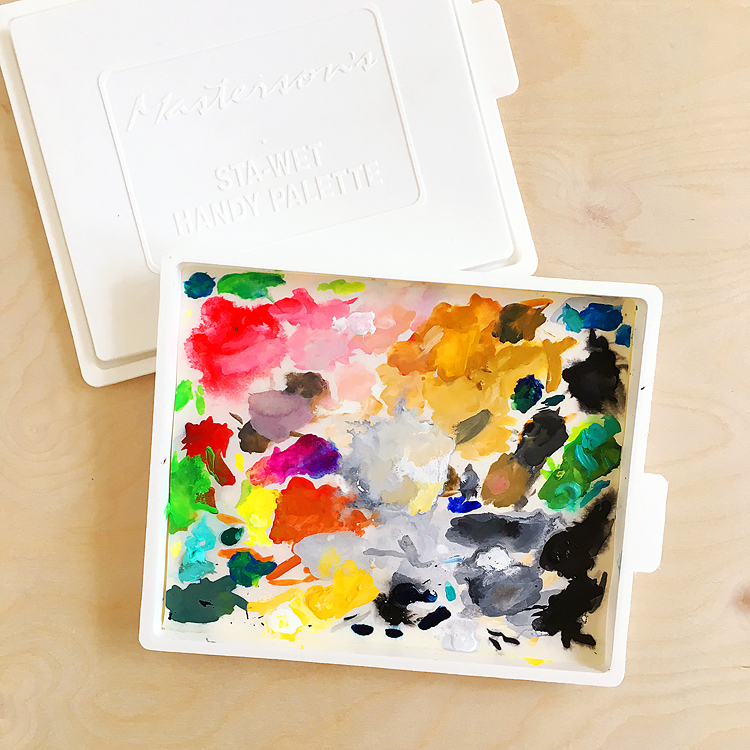 Annnnd, I just have to say that stray bits of white embossing powder add to the charm here, so don’t brush ’em away! 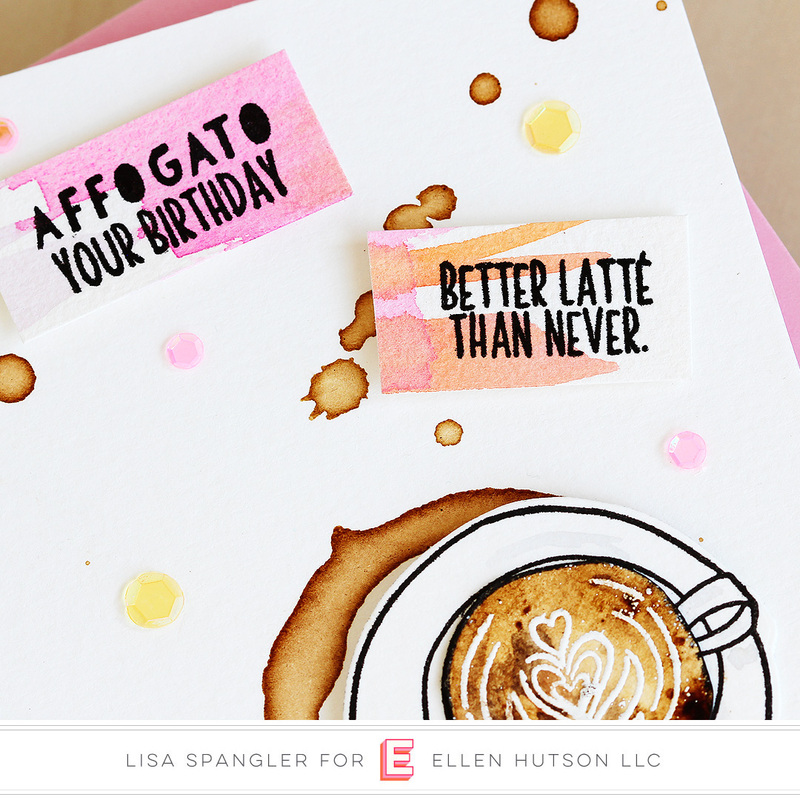 I ended up using the “affogato your birthday” stamp from the Breve Note set for this card because I forgot a friend’s birthday, oops! I had those Starbucks coffee packets up in the cupboard from a 2016 camping trip lol! More From the February Release! This is the third card post for today — yeah I got a little carried away! Here are my other posts, or find my release guide HERE. Part 1: Mondo Gerbera and a GIVEAWAY! Part 3: Latte Love <— you are here! Part 5: Big Scripty Hello and Thank You plus another GIVEAWAY! Mmmmm, looks too good to drink! This looks so realistic and love all your pro tips as I don’t drink coffee- tea drinker here! Such a cute card!! Your card is great, so fun and lively! I’m a coffee snob too! You are full of tips, thank you. Now that is thinking out of the box! How fun to use actual coffee granules to create! 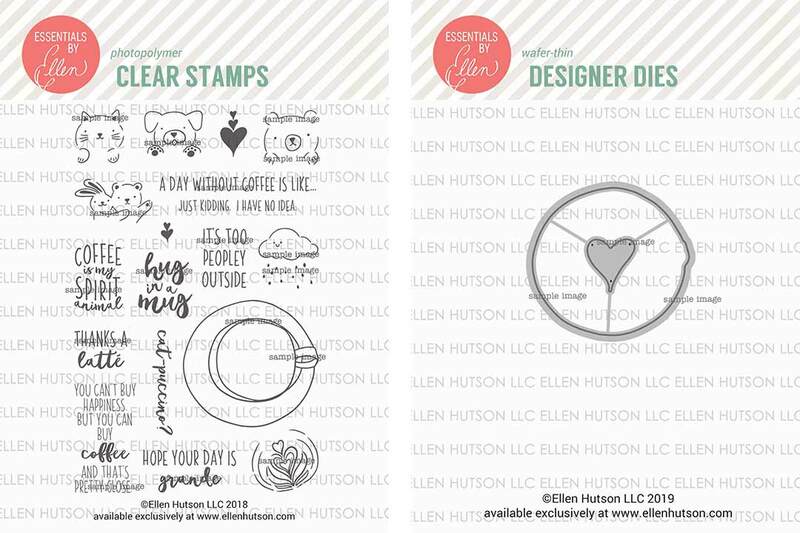 I like the font and the playful sentiments of this stamp set. I love this card .I need to try The real coffee! I love this stamp/die set. 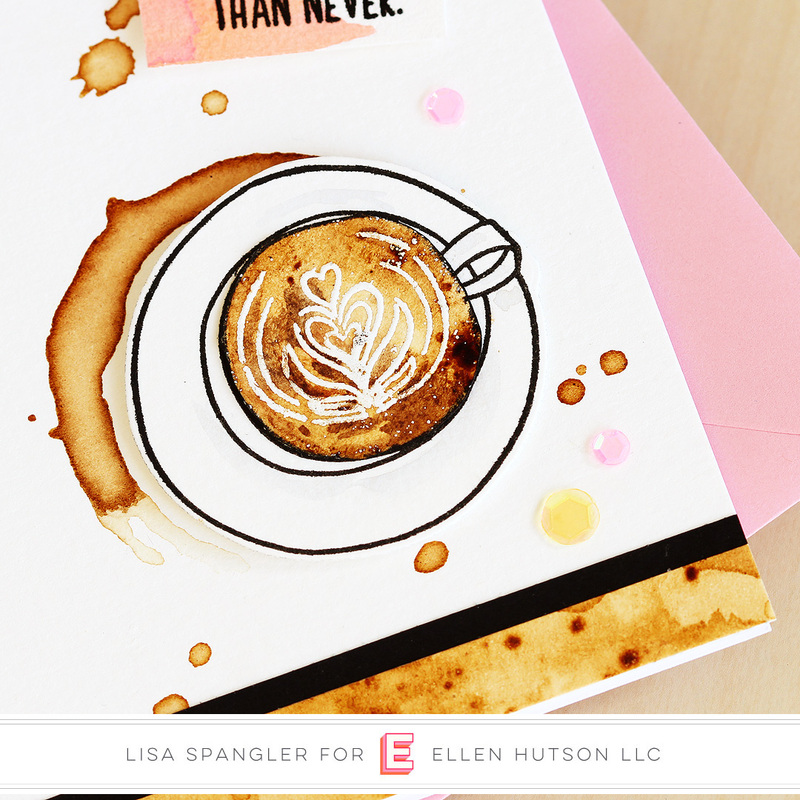 Especially love how you used the coffee to stamp. Gonna have to pull the instant coffee out of the cupboard and try it. Thanks for all your tips too. Fun card and another great stamp set with terrific sentiments! The coffee granules look cool. I especially like the “too peopley” sentiment—it’s a nice version of what I think driving home after work. I didn’t drink coffee until after my mid 20s when I got a new job and my office was located across from the coffee pot. My favorite coffee lately is Southern pecan.